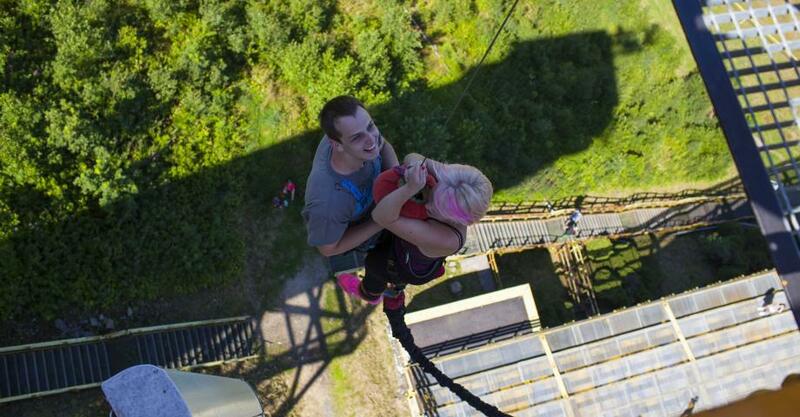 Ready for a little adrenaline and looking for the best place for bungee jumping in the Czech Republic? Come to Harrachov and taste a completely different dimension of your jump. 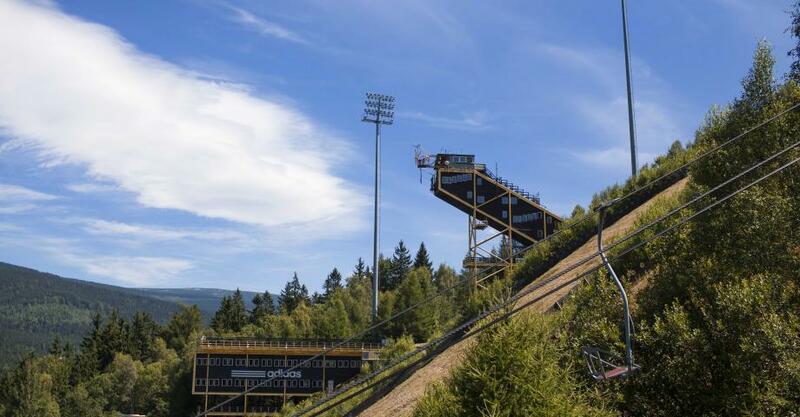 The popular ski resort is one of the few places to go freestyle bungee jumping. 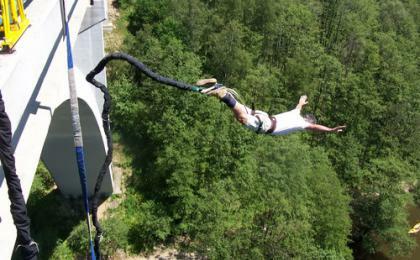 Actually, it is the only place for freestyle bungee jumping in Europe! 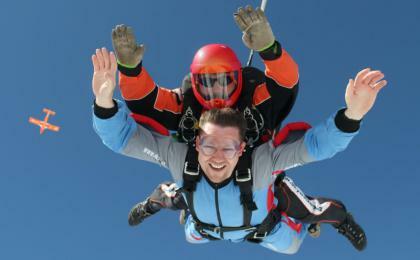 So if you feel like it, we will teach you how to jump somersault and you can enjoy the free fall spinning in the air. The Harrachov ski resort is the best place for bungee jumping in the Czech Republic as you can enjoy this extreme sport here all year round from January to December. If you want to spend the rest of the day snowboarding in Harrachov, you don’t even have to take your snowboard off for the jump. The TV tower in Harrachov is 36 m high and its steel construction is towering 145 m above the town. Transport included in the price. Book now only with a deposit, and pay the balance later on the spot. Come to jump and have some extreme fun! The program consists of picking you up at selected place in Prague, driving you to the location in Chomutov, jump itself and transport back to Prague. Please let us know where you want to be picked up. We will contact you anyway, but it is much easier for us to plan your experience. 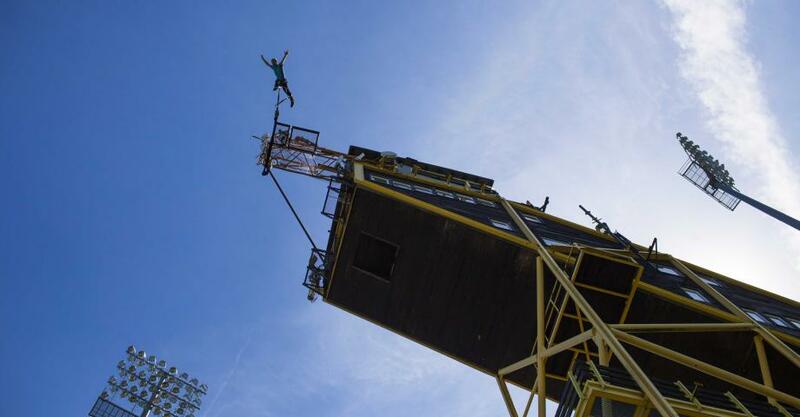 • You are in a good health condition and do not have any health problems that may be negatively influenced by bungee jumping, such as heart problems; pregnancy; high blood pressure; circulatory problems; physical movement limitations; eye illness; neurological problems, etc. • You understand that the jump is performed at your own risk. • You are not under the influence of alcohol or drugs, or any medicine that could impair your judgment. • You will strictly follow the bungee team instructions. This is an all-weather activity. The jump takes about 15 minutes. As the area is quite far from Prague, it can take up to 5 hours in total (including transport). The jump is performed by one person at the time. You are welcome to invite some friends to encourage you but we do not provide transport for them! 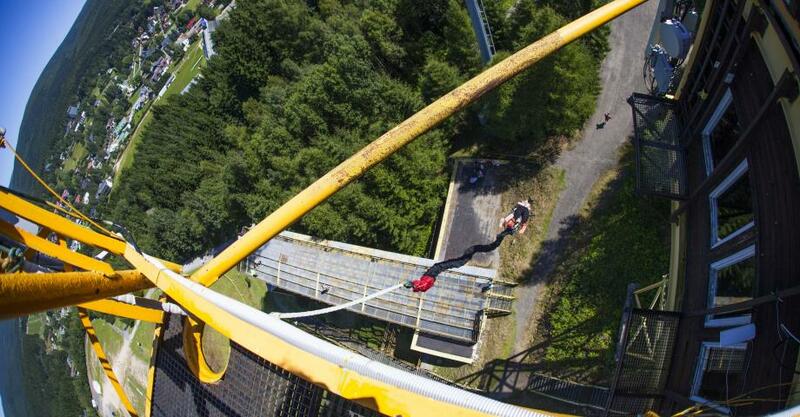 We recommend wearing tight sportswear for bungee jumping. Glasses or contact lenses are not an obstacle, but jewelry, especially earrings, are not recommended. This activity takes place in Northern Bohemia, so the best way to get there is by car. It's a two-hour drive from Prague. See Google maps for details. If you don't have a car, you can get to Harrachov by public transport. It takes about 2,45 hours to get there by bus from Prague (Cerny Most). The tower is within walking distance from Harrachov centre.